Taking place in the first week of Spring, Junction Arts Festival is an intimate festival which prides itself on showcasing Tasmania’s best and brightest artists. The festival, which is now in its eighth year, situates itself in and around the 19th century Prince’s Square including within the iconic Fountain Bar. Tasmanian musicians provide the musical delights of the festival while attendees will enjoy the world-renown Tasmanian produce including local cheese, wine and more. There’ll be interactive live arts, participatory and site-specific performances created specifically for Launceston in dance, theatre, live music, literature and installation. The festival organisers focus on engaging the creators of the community through new commissions, artist residencies, training and development for local artists, and fostering collaborations that are local, national and international. The captivated audience is placed front and centre of performances, creating a real sense of cohesion and unity among creators and spectators alike. Head along to the playful festival and immerse yourself in Tasmania’s most ‘extraordinary experiences in unusual spaces’. The historic village of Grindelwald, where the Tamar Valley Writers Festival will be held. Dive into the magic of the written and spoken word at Tamar Valley Writers Festival, a biennial three-day event celebrating a diverse set of genres and voices within the writing community. More than than 60 of Australia’s finest authors and guest speakers will be in attendance, delivering talks, workshops and masterclasses. And there are plenty of highlights. Dr Jodi McAlister will run a masterclass entitled The gifts of truth, the treasures of secrets: Writing an engaging family history. Young women and producers from Big hART’s Project O will host a screening of short films generated by community programs on Tasmania’s North West Coast. The session explores stories of Aboriginal Tasmania, young women and leadership on the Coast, and the enigmatic beauty and musical character of rural sheds. Join Aria award-winning indie singer/songwriter Monique Brumby, who will offer insight and inspiration around themes of youth, mortality and the power of music. For 18 to 25 years olds, New York Times bestselling author Amie Kaufman host a workshop called Story Ignition, and will work with students to help them design a setting, characters and plot for a story inspired by the things that get them excited in life. Other unmissable events at the festival include the official cocktail opening, a writers’ barbecue on the Saturday night, and Breakfast with the Stars on Sunday. All events are ticketed, except the children’s program which is free thanks to support from Bell Bay Aluminium and South 32. A sculpture biennial held in the idyllic vineyards of five Tamar Valley Tasmania boutique and estate vineyards, Artentwine is a lavish celebration of the vine art movement. Incredible and intreguing sculpture art will be situated in the outdoor surrounds, created by talented Australian and international artists. Attendees can recline and enjoy the sights with a drop of the Tamar Valley’s world-renowned cold climate wines and sample some bespoke local produce. Or head along to the Artentwine Awards Weekend, the Spirit of Tasmania’s Indulgent Weekend or the Petuna Seafood People’s Choice Award Long Lunch. Tickets are available here. Attendees can register your vote for the Petuna Seafoods People’s Choice Award and the New Vintage in the Valley wine prize before exploring the sites, which follow the western banks of the Tamar River from Rosevears to Rowella. The Artentwine exhibition trail weaves through wineries including Tamar Ridge Cellar Door, Moores Hill Estate, Iron Pot Bay Vineyard and Holm Oak Vineyards. Bring the kids along to the Blooming Tasmania Flower & Garden Festival. It’s a feast for the eyes that celebrates Tasmania’s unique garden attractions filled with scenery, history and wine and food experiences. Blooming Tasmania showcases horticulture splendour, floristry, landscape design and more, set in and around the iconic Albert Halls and City Park of Launceston. There’ll be over 60 exhibitors and displays, plus a jam-packed program of locally and nationally acclaimed gardening experts sharing insights and innovations into gardening and horticulture. The City Park will be filled with displays, exhibitors and food stalls while musical performances and children’s activities in the Conservatory will keep the energy festive. Fifty or so of the exhibitors will set up inside with plenty of advice on offer and products to browse. Head along to learn about the tips and tricks of the trade, purchase unique plants, enjoy floral art displays, plan open garden holidays, get those challenging gardening questions answered and sample fresh produce. Steel the taste buds for Farmgate Festival, a celebration of Tasmanian produce held over the last weekend of November. A huge selection of local farmers and producers are opening their gates to allow attendees an inside look at the care and cultivation that goes into your plate. Explore local products such as pork, hazelnuts, apples, berries, salmon, olive oil, honey, truffles, salad and vegetables, beef, milk, cider and wine. The festival is a wonderful celebration of local Tasmanian produce. Meet the local farmers themselves and learn about their story and history on the land. There are farm tours, lunch venues and dinner events, including a dinner each evening to celebrate Tasmanian produce and showcase local food and wine. The chefs at Strathlynn Wine & Function Centre will utilise local seasonal and organic produce to create a regional menu of pure Tasmanian contemporary flavours for diners on Friday, 23 November. Tickets are $95 per person. Timbre Kitchen will host a four-course dinner paired with a boutique wine including vintage sparkling, Pinot Noir, rich earthy Cabernet Merlot, Pinot Gris, Chardonnay and Riesling. The menu offerings will be showcasing the best of local produce, with much of the ingredients soured from participating Farmgate Festival Farms. Children are encouraged along to the festival where there will be kids activities and plenty to keep them engaged. 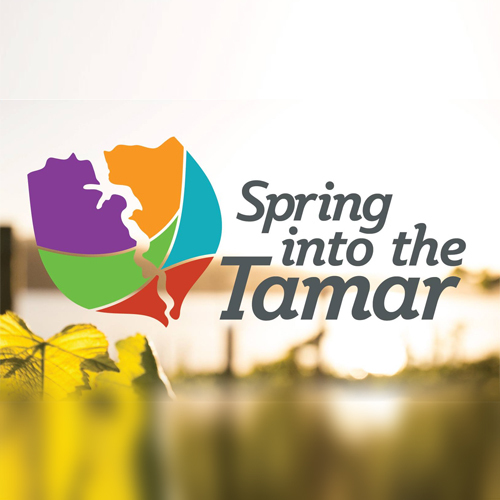 For more information, visit Spring Into The Tamar.